Lady and the Tramp was one of my favorite movies to watch as a kid! I especially loved the music and the unique characters. 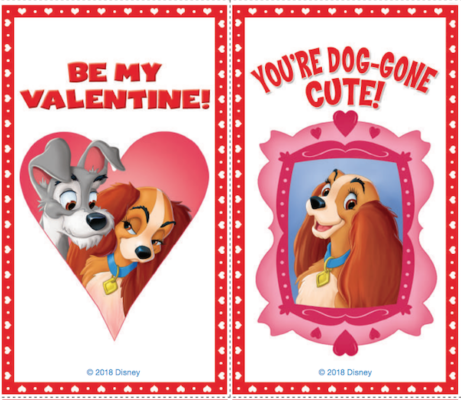 It’s a romantic film for kids without being too mushy…which means it’s perfect for Valentine’s Day! 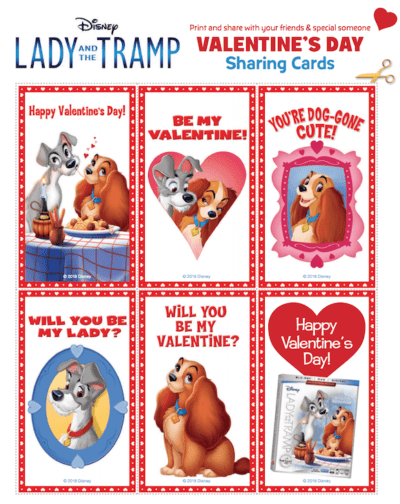 We’ve got some FREE printable Lady and the Tramp valentines to share with you – just click HERE to access the file which you can download and print. Easy-peasy! In addition, the file includes a recipe for Meatballs in Red Sauce with Noodles that you can make with your kids to recreate the classic romantic spaghetti scene. These are adorable! 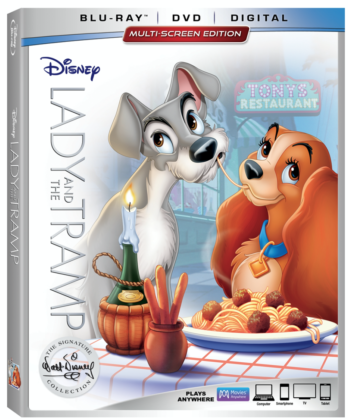 Lady And The Tramp was always a favorite for my growing up! These Valentine’s are so cute! Since having children, I see Valentine’s Day in a whole new way. I love all these cute cards they exchange at school. Also, I love the Lady and the Tramp Movie. It reminds me of when I was a little girl. These are too cute! I love the designs! These are too cute. I love Lady and the Tramp.